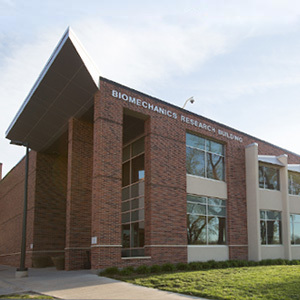 The Division of Biomechanics and Research Development houses all research conducted by the Department of Biomechanics, the Center for Research in Human Movement Variability, and associated programs. 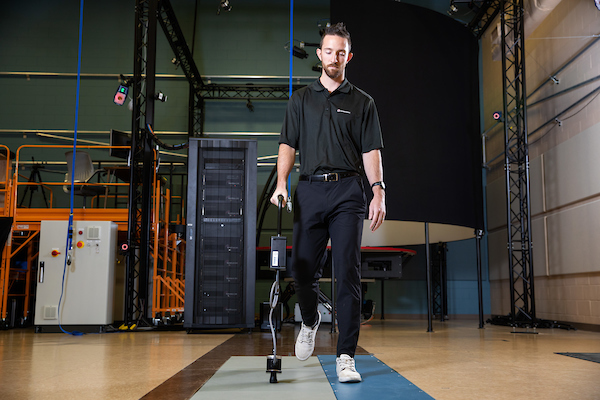 The Division is an interdisciplinary enterprise that features collaboration between scientists, engineers, mathematicians, surgeons and clinicians to advance the understanding of healthy and abnormal movement patterns. 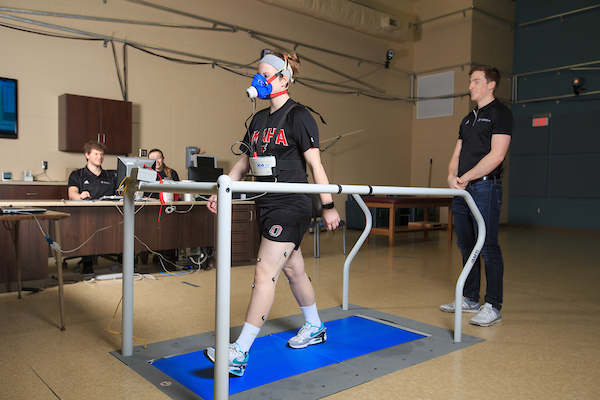 The department is also home to the Bachelor of Science in Biomechanics, Master of Science in Biomechanics, and collaborates with the School of Health and Kinesiology to offer the PhD in Exercise Science with concentrations in Biomechanics and Motor Development and Control. Biomechanics is the study of the human body in motion. By applying principles from mechanics and engineering, biomechanists are able to study the forces that act on the body and the effects they produce (Bates, 1991). In biomechanics, movement is studied in order to understand the underlying mechanisms involved in the movement or in the acquisition and regulation of skill. The uniqueness of biomechanics as an area of study evolves not from the unique body of knowledge, but from the questions that are asked relative to understanding human movement (Bates 1991). Techniques and methods from other scientific disciplines, such as physics and engineering, are used to examine human movement. In this way, biomechanics involves mechanical measurements used in conjunction with biological interpretations (Higgins, 1985). Bates, B. T. (1991). The need for an interdisciplinary curriculum. In Third National Symposium on Teaching Kinesiology and Biomechanics in Sports Proceedings. Ames, IA, pp. 163-166. Higgins, S. (1985). Movement as an emergent form: its structural limits. Human Movement Science, 4, 119-148.